In the last 10 years, a flurry of archaeological excavation ahead of the completion of the Ilısu Dam on the River Tigris has surprised everyone with the sheer quantity and diversity of material uncovered. The Ziyaret Tepe Team reassess this little understood but soon to be lost region before it is too late. of the Tigris Valley will be flooded, submerging countless archaeological sites dating back millennia. This rich seam of human settlement is now hurriedly being uncovered by archaeologists and, following surface survey by Guillermo Algaze of the University of California at San Diego and his colleagues, 25 sites have so far been investigated. The upper Tigris basin is a microcosm of the human journey in the Near East. Occupied from earliest times, it had a central place in the agricultural revolutions that made civilisations possible, while at the same time serving as a staging post for the trade of natural resources from Anatolia to Mesopotamia and beyond. It had a grandstand view of the parade of empires as they marched their way through to the present day. Often at the edge – the northern limit of the Assyrian Empire, the eastern limit of the Roman Empire– a recurrent theme is the balance between core and periphery, and the interaction between these imperial systems and the local indigenous cultures. But let us start at the beginning. Evidence of the very earliest human settlements has been found along the seasonal tributaries of the Tigris River, notably the Şeyhan Çay and Savur Çay. While no comparable sites have yet been found along the Tigris River itself, this is probably because they have been buried by alluvial processes and the deposition of new sediments. So far, surface survey has revealed 22 Palaeolithic sites, with Paleolithic materials, especially Middle Palaeolithic handaxes, being found throughout the Ilısu Dam salvage area, mostly from field scatters and from open-air sites – none, interestingly, in caves. While remains from the Neolithic period have been excavated in the past –at Çayönü, Hallan Çemi, and Demirköy – Guillermo Algaze noted that there were no Pre-Pottery sites from this period, suggesting they may be located on higher ground. However, Ceramic Neolithic sites are found here, the most important being at Hakemi Use – where excavations have uncovered remains of a Neolithic village; and at Körtik Tepe – where a necropolis of over 400 Pre-Pottery Neolithic skeletons was also recovered, as well as the remains of over two dozen round houses, and thousands of small finds, including finely carved stone bowls. During the Chalcolithic (Copper Age) small agrarian settlements began to emerge, identified through the painted pottery traditions of the Halaf and Ubaid cultures found at a few small, single-period sites. Significantly, these two culture types are always found separately, suggesting an appreciable reconfiguration of the settlement in this area. Late Chalcolithic sites are mostly small hamlets, though a few larger settlements are known, and the two to watch out for are Yenice Yanı, 10km south of Bismil, and Kenan Tepe, a multiperiod settlement 15km west of where the Tigris and Batman rivers converge. Kenan Tepe has an Ubaid occupation dating to mid-5th millennium BC, and a Late Chalcolithic settlement from the second half of the 4th millennium BC, during which time the village more than tripled in size. The economy – as elsewhere during this period in the upper Tigris River valley – was agrarian-based, judging by the wealth of artefacts and domestic architecture, including wells and fire pits. Later, during a transitional phase between the Late Chalcolithic and Early Bronze Ages, a 1.5m-thick fortification or retaining wall was built at Kenan Tepe, suggesting increased wealth brought with it hostile neighbours. As we move into the Early Bronze Age, we begin to see a new pottery-type appear: at Ziyaret Tepe, in the upper Tigrisregion, the citadel mound comprises a 14m-thick deposit, with evidence for a large fortification wall. Here, the local pottery tradition is characterised by dark-rimmed orange bowls dating to the late 3rd millennium BC, a style found at all the sites in the region. 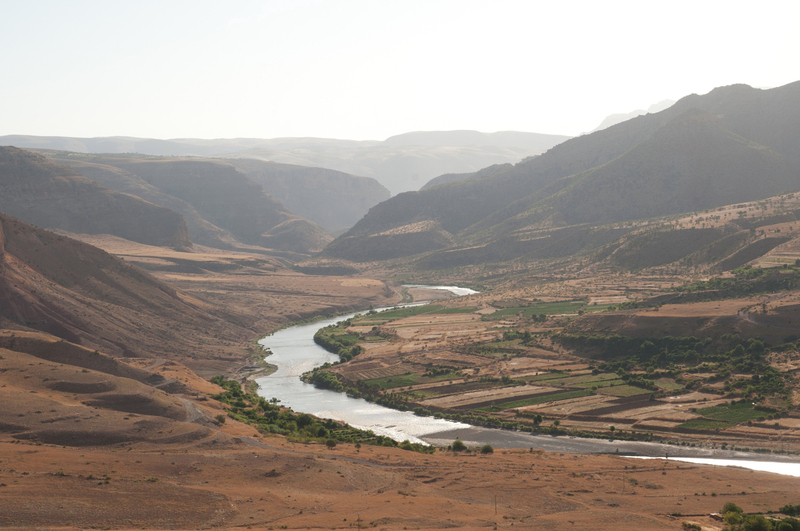 This challenges the theory originally promoted by Algaze that the plain north of the Tigris River in the Batman-Siirt region was abandoned during this period. He based this assumption on the lack of sites found during surface survey of the area; but a number of Early Bronze Age sites have now been located, including a cemetery at Aşağı Salat, and a large public building at Giricano Tepe. Now, yet another assumption has been turned on its head, this time for the Middle Bronze Age period. The region seems to be devoid of the usual ceramic markers for the period: i.e. pattern burnished and plain simple wares of the Euphrates basin, painted and incised Khabur ware from Syria, and wheel-made monochrome wares of central Anatolia. And so, it was generally believed the region was unoccupied at this time. However, we now know that locally produced pottery assemblages were being produced: a Red-Brown Wash Ware (RBWW) that dates to the earlier part of the Middle Bronze Age. Since its identification, significant Middle Bronze Age occupation has been documented across the entire survey area. Far from being abandoned, the upper Tigris River was a hive of indigenous activity and development – separate from its neighbours but certainly active, nonetheless. Ziyaret Tepe has produced a well-stratified assemblage dating to the 17th and 16th centuries BC, which fills a chronological gap in the Middle Bronze Age following the end of the RBBW phase. At Hirbemerdon Tepe, east of the Tigris-Batman confluence, substantial stone architecture has been recovered – including workshops and a piazza used for religious purposes. The other principal excavated settlements dating to this period to look out for are Giricano Tepe, Salat Tepe, and Kavuşan Höyük. With the Late Bronze Age, the upper Tigris region enters history proper, and may well have formed part of Mittani – an empire that stretched across the north of Mesopotamia. The Mittani Empire was eventually overthrown by successive campaigns of Assyrian kings. Inscriptions describe how Adad-nerari I (1295-1264 BC) campaigned in the region, while formal Assyrian occupation was established by his son and successor Shalmaneser I (1263-1234 BC). The best archaeological evidence for this has been recovered at the site of Giricano, on the Tigris just outside Bismil, where excavations uncovered a complex of Middle Assyrian architecture. A cache of cuneiform tablets dating to the reign of Ashur-bel-kala (1073-1056 BC) tell us that the site was then called Dunnu-sha-Uzibi – which, translated, means ‘fortified farmstead of Uzibu’, a clear indication of colonial presence. Middle Assyrian remains have also been identified across the river from Giricano at Ziyaret Tepe (see below), and at the site of Üç Tepe, some 20km to the west, beyond the flood zone. 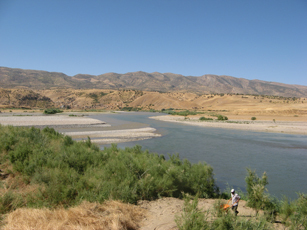 The South-east Anatolian Irrigation Project, known by its Turkish acronym GAP, is an extraordinarily ambitious – and controversial – plan to build a network of dams across nine provinces of south-eastern Turkey, harnessing the waters of the Tigris,Euphrates, and their tributaries for their hydro-electric and irrigation potential. The project was conceived in the 1930s, and planning began in the 1970s. Today, the project envisages the eventual construction of 22 dams, nine of which are finished. Some are colossal: the biggest is Ataturk Dam. The Ilısu dam, the last of the four mega dams, was commissioned in 1954, though planning did not begin until 1989. Since then, its history has been chequered: the original contractors dropped the project due to financial complications and pressure from environmental and human rights groups. Finally, the Turkish government took on the task, with a completion date set for 2014. With a capacity of 10.4bn cubic metres and a surface area of 31km, the reservoir will flood at least 100km of the Tigris river valley. The environmental impact is huge. Not only will the local wildlife be affected, but rich agricultural land will be lost, and whole communities forced to relocate. With regard to heritage, although most publicity has gone to the flooding of the lower town of Hasankeyf, the seat of major Medieval kingdoms, the reservoir will also inundate hundreds more sites from the Palaeolithic to the modern age. However, thanks to the Turkish government’s recognition that its country’s heritage should be recorded, our knowledge of the region’s history has been massively advanced. Nevertheless, it will be a sad day when the waters roll up, and these fascinating sites disappear below the surface forever. The Early Iron Age – roughly the end of the 13th century BC to the 10th century BC – takes its name from a new metal, heralding a new stage of technological progress, which coincides with a tumultuous shift in the established world order that sent shock waves through the region. Many important states and big cities that had existed throughout the Late Bronze Age were now either destroyed or abandoned, with even superpowers such as Assyria and Egypt contracting and becoming weaker. From the 13th century BC, the Uruatri and Nairi tribes in Northern Syria and Eastern Anatolia, including the Upper Tigris region, began to threaten the northern frontiers of Assyria. By the 11th century BC, a tribe called the Mushki was migrating through the Taurus mountains to the south. At much the same time, Semitic-speaking Aramean tribes began to migrate from their Syrian homelands into south-eastern Anatolia and Assyria. This is the most active time for this region with almost half the sites excavated in the Ilısu Dam area yielding remains from this period. At Ziyaret Tepe, these levels consist of pits full of ashes, pieces of handmade ‘grooved’ pottery (so-called because of the distinctive grooves between the rim and the shoulder of the bowls) and cremation burials. This type of pottery was widespread in the upper Tigris area, particularly the western part, and is found at Hakemi Use, Hirbemerdon, Kuriki Höyük, Kenan Tepe, and Salat Tepe. Storage jars and grinding stones bear witness to village settlements. Even after the Neo-Assyrian conquest of the upper Tigris region in 10th century BC, the influence of the indigenous culture thrived, and the evidence is that some semi-nomadic people from the Early Iron Age survived and lived under the rule of the Neo-Assyrian state as settled villagers. Now came one of the high-water marks in the imperial history of the area, the resurgence of the Assyrian empire. Opportunistic campaigning by the king Tukulti-Ninurta II (891-883 BC) was followed by a coordinated policy on the part of his son, Ashurnasirpal II (882-859 BC). Abandoned cities were reoccupied and rebuilt, with the Tigris itself now serving as the northern border of Assyrian territory, and the region formed part of the empire for the next 270 years. The site of Ziyaret Tepe came into its own on the back of this (see CWA 37). Re-established as the capital of a province, it became a city of great power and prosperity. Consequently, investigation of this site was considered a top priority. Fieldwork commenced by Timothy Matney of the University of Akron Ohio in 1997 has continued every year since then, and excavation has revealed exceptional results: the palace of the governor, a major administrative complex, a monumental city gate and both elite residences, and the dwellings of common soldiers. The Assyrians are known to have buried their dead beneath the floors of their houses, and we find evidence for both rich and poor: the graves of soldiers buried in the chambers of the gates where they stood watch; and the graves of the ruling class, in this case primary cremations, cut into the courtyard of the palace on the high mound, and containing spectacular artefacts – bronze vessels, palace ware beakers, stone bowls, worked ivory, and seals. 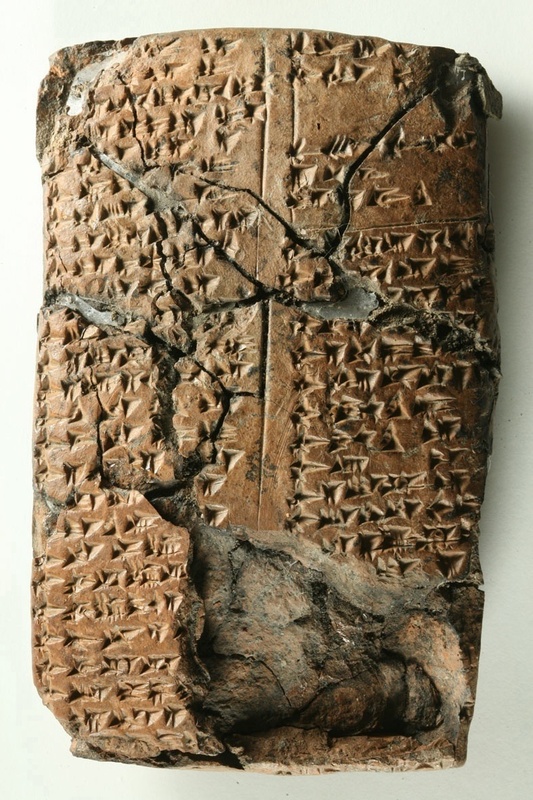 Many finds have been sensational but equally intriguing is the discovery of an archive of cuneiform texts dating to just before and just after the fall of Nineveh in 612 BC. Another tablet hints at the existence of a language hitherto unknown. But Ziyaret Tepe is not the only Assyrian site in the region, indeed far from it. The Assyrians populated the region, once pacified, with deportees from other parts of the empire. Plentiful evidence, backed up by historical texts, bears witness to their farmsteads dotting the countryside: at Kavuşan, Hakemi Use, Boztepe, and Müslüman Tepe. At the end of the 7th century BC, the Assyrian empire was overthrown by a coalition of the Babylonians and the Medes who divided up the spoils between them. It is unclear which side seized the upper Tigris region, as historical sources are vague. Archaeologically, a major problem is the difficulty in identifying diagnostic ceramic types for the period, so surface surveys are not yet able to reliably map the settlement patterns for post-Assyrian occupation. The situation is little better for the Achaemenid period that followed. No major Achaemenid sites have been found, although the occasional discovery, like the Achaemenid graves at Ziyaret Tepe and Aşağı Salat with their characteristic omphalos bowls that probably belonged to soldiers, is a sign of their presence. The area must have been under the at least nominal control of a Persian satrap, but which one? This may be one of the secrets the Ilısu Dam takes to its watery grave. South-eastern Turkey has been a crossroads and crucible of civilisations since prehistoric times. From the 3rd millennium BC, it was populated by speakers of Hurrian, a language related to just one other: Urartian. In the 2nd millennium the Hittite and Mittani empires held sway, followed a millennium later by the Assyrians. At this time, the Arameans rose to prominence, and then the Scythians and Phrygians. Achaemenid rule with Persian influences followed, before Alexander passed through on his campaigns, with Hellenisation following in his wake. Here, too, was the eastern frontier of the Roman Empire. More recently, Armenians, Kurds, Turks, Arabs and (modern) Assyrians have all played their part. A fascinating insight into this shifting population comes from a text from the palace at Ziyaret Tepe. It is a list of women, written in Assyrian cuneiform – yet most of the names are not Assyrian: one is Hittite, one Hurrian, but most do not belong to any known language. Could these women be either descendants of the indigenous (Shubrian) pre-Assyrian population, or deportees brought in by the Assyrian government? As Shubrian is thought to be a dialect of Hurrian, the latter explanation seems more likely. A current theory is that these women were most likely speakers of a non-Indo-Iranian language, deported from the Zagros in western Iran. Now, historical terminology traditionally switches over to Classical designations, Hellenistic and Roman – labels that presume the culture comes from the west, and do not truly represent indigenous traditions. This is especially so in the early Roman Empire, when the Roman presence was not deeply rooted: it was here, in 53 BC that the disastrous (from the Romans’ point of view) battle of Carrhae (Harran) was fought during which, despite greatly outnumbering their foe, the Roman force was crushed by superior Parthian tactics, and their governor Crassus, most famous for defeating Spartacus, killed. Crassus’ death sparked the Roman civil war between Julius Caesar and Pompey the Great. But terminology from the east is equally inappropriate: the region was at the periphery of the Parthian and Sassanian empires (the nearby site of Üctepe was the Parthian provincial capital Tigranokert). Then again, the label ‘Late Iron Age’ does not do justice to what we do know. The problem is that information for this period is sparse, both historically and archaeologically, underlining the importance of data recovered from these current excavations. Many of the sites on this stretch of the Tigris river valley are located on key junctions of tributaries coming in from the north. 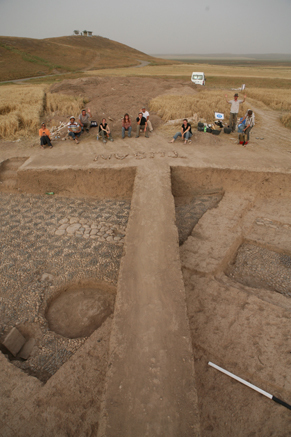 One of the first mounds to be investigated is Gre Dimse, at the confluences with the Batman Su, which shows evidence of Hellenistic and Roman remains. at Tepe, at the confluences with the Botan Su, has now been identified as a Roman fortress ceded to Rome in AD 298 but then lost to the Persians in AD 363. Late Roman remains have also been found at Salat Tepe at the confluence of the Salat «ay, and recent work at Ziyaret Tepe has established that the Late Roman presence there was considerably more extensive than had been suspected, with remains in a number of locations in the lower town. Coins from the site date to the reigns of Heliogabalus, Arcadius, Constantius II, and Justinian. Understanding the region in the following era is complex, again partly because the upper Tigris was only at the fringe of the political events that Western historians use to define this period: the successive political configurations of Umayyads, Abassids, Seljuks, Mongols, and Ottomans.The most notable exception comes in late Medieval times when the Artukid dynasty established competing kingdoms at the cities of Hasankeyf and Mardin between AD 1102 and 1231. Medieval remains are found at many excavated sites in the Ilısu salvage area, the most important being Hasankeyf and Ziyaret Tepe – where the stratified remains of a 12th- to 15th-century Medieval village and a later Ottoman period nomadic encampment have been uncovered. The dam at Ilısu will soon be completed, and these projects will end. So, what have we learnt? Far from being a backwater, this was a thriving region, from Palaeolithic to recent times, with settlements from village level up to provincial capital. We need to re-evaluate accepted theories that emergent civilisation spread out from the Euphrates valley area and Mesopotamia. In this corner of Turkey, societies evolved simultaneously and independently, running parallel to the better-known Cradle of Civilisation. We have evidence of new burial customs, a spread of languages, and major new ceramic sequences – Red-Brown Wash Ware from the later 3rd millennium in the Tigris zone, and the grooved ware of the indigenous Iron Age cultures. Meanwhile, diachronic evaluation has revealed cyclical patterns like the recurrence of nomadism in the intervals of imperial decline. Having briefly emerged into the light, this fascinating corner of the world will soon slip back into obscurity as the waters close over it leaving huge gaps in our knowledge: We know that the region was incorporated within the Achaemenid Empire but little else – not even to which satrapy it belonged. Alexander passed through, but we know little of the impact of the Seleucid kingdoms left in his wake. The region became a disputed border territory between the Roman and Parthian empires, and then the Byzantine and Sassanian empires, but we are only just beginning to get an impression of the impact on the ground. What we have learned gives us a hint of what we are losing: in Ziyaret Tepe, sculptures and archives of the Assyrian governors; in Çat Tepe, a Roman fort at the very edge of their empire; in Hasankeyf, the seat of Medieval royal dynasties. However, as these sites are destroyed, others are being created – new settlements, new irrigation systems, even the dam itself will one day be considered an archaeological monument. That will be the work of future generations.